He was born in London in 1970 to Nigerian parents. While pregnant, Boyé's mother went to London while his father remained in Nigeria. According to his own words, he never knew his father. His mother remarried and worked for London Underground, cleaning tracks at night. One day his mother said she was going to Nigeria for a couple of weeks for a visit and did not come back for eight years. Boyé was raised in the Tottenham neighbourhood that has been described as "tough". He spent much of his youth in foster homes with Caucasian parents. As a teenager, he listened to the music of Motown, including artists Stevie Wonder, Kool and the Gang, James Brown, Marvin Gaye, Jackie Wilson and Otis Redding. When he was 16, Boyé was working in a McDonald's in London when he was introduced to the The Church of Jesus Christ of Latter-day Saints (LDS Church) by a manager. He was baptised soon afterward, without his mother's knowledge. He first performed in public while serving as a missionary for the LDS Church in Bristol, England. In 1995, he formed and became the lead singer of Awesome, a European boy band. They performed at local dances and other small venues until 1996 when they won a vocal competition on Capital Radio, London's largest radio station. Universal Records of Europe signed Awesome to a five-album recording contract. Awesome released three singles off their first album, Rumors, which made top-10 charts all across Europe. The band sold 500,000 CDs and performed alongside artists that included Bryan Adams, George Michael, Simon and Garfunkel, MC Hammer, and many others. But Boyé disliked the lifestyle of a touring musician. "I had this dream of being a musician, but it was taking me down a road that led somewhere I didn't want to go," he said. Boyé decided to leave the band in 1999 to pursue a solo career. He lost all of the material possessions he had gained as a member of Awesome when the record company took the apartment, the clothes, the phone and the money. David James Archuleta (born December 28, 1990) is an American singer-songwriter, musician, and actor. 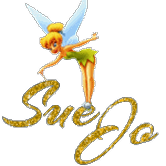 At ten years old, he won the children's division of the Utah Talent Competition leading to other television singing appearances. When he was twelve years old, Archuleta became the Junior Vocal Champion on Star Search 2.In 2007, at sixteen years old, he became one of the youngest contestants on the seventh season of American Idol.In May 2008 he finished as the runner-up, receiving 44 percent of over 97 million votes. In August 2008 Archuleta released "Crush", the first single from his self-titled debut album. The album, released three months later, debuted at number two on the Billboard 200 chart; it has sold over 750,000 copies in the U.S., and over 900,000 worldwide. In October 2010 he released a third album, The Other Side of Down, featuring lead single "Something 'Bout Love". On March 28, 2012, Archuleta left on a two-year hiatus to be a missionary of The Church of Jesus Christ of Latter-day Saints in Chile, but stated that he will continue his music career after that. As of February 2012, Archuleta has sold 1,108,000 albums and 3,327,000 tracks in the United States. In March 2012, Archuleta released his fourth album, Forevermore, exclusively in the Philippines. This was his first Original Pilipino Music album, composed of several covers of Filipino songs. The album was certified gold in the Philippines (10,000 units) as of June 2012.Archuleta's fifth album, Begin, was released on August 7, 2012, in the United States. His sixth album, No Matter How Far, was released on March 26, 2013. Sara Beth Bareilles (/b? ?r?l?s/; born December 7, 1979)is an American singer-songwriter. She achieved mainstream success in 2007 with the hit single "Love Song", which reached number four on the Billboard Hot 100 chart. Bareilles has sold over one million albums and over nine million singles/downloads in the United States of America alone and has earned five Grammy Award nominations, including one Album of the Year nomination for her album The Blessed Unrest. In the third season of NBC's The Sing-Off, Bareilles was a celebrity judge alongside Ben Folds and Shawn Stockman. In February 2012 VH1 placed Bareilles in the 80th spot of the Top 100 Greatest Women in Music. Her memoir, published in 2015, Sounds Like Me: My Life (So Far) in Song is a The New York Times best seller.She wrote music and lyrics for the Broadway musical Waitress, and earned a Tony Award nomination for Best Original Score in 2016. 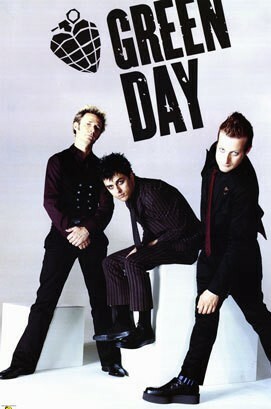 Green Day is an American punk rock band formed in 1987. The band consists of lead vocalist and guitarist Billie Joe Armstrong, bassist and backing vocalist Mike Dirnt, and drummer Tre Cool. Cool replaced former drummer John Kiffmeyer in 1990, prior to the recording of the band's second studio album, Kerplunk, and has been a member of the band since. Green Day was originally part of the punk scene at 924 Gilman Street in Berkeley, California. The band's early releases were from the independent record label Lookout! Records. In 1994, its major label debut Dookie released through Reprise Records became a breakout success and eventually sold over 10 million copies in the U.S. Green Day was widely credited, alongside fellow California punk bands Sublime, The Offspring and Rancid, with popularizing and reviving mainstream interest in punk rock in the United States. Green Day's three follow-up albums, Insomniac, Nimrod, and Warning did not achieve the massive success of Dookie, though they were still successful, with Insomniac and Nimrod reaching double platinum and Warning reaching gold status.The band's rock opera, American Idiot (2004), reignited the band's popularity with a younger generation, selling five million copies in the United States The band's eighth studio album, 21st Century Breakdown, was released in 2009 which achieved band's best chart performance to date The band will begin to release a trilogy of albums over the course of five months starting in September 2012. The three albums will be called ¡Uno!, ¡Dos!, and ¡Tré!, and will be released September 25, 2012, November 13, 2012, and January 15, 2013 respectively. After her first two albums flopped, Shakira took the reins of her third album, becoming involved in every aspect of its production. Released in 1996, Pies Descalzos, meaning "bare feet," sold more than three million copies. The album featured her trademark sound, a blending of Latin, rock, and Arabic musical styles. The follow-up record, Dónde Están Los Ladrones? (1998), which translates as "Where are the thieves?," reached the top of Billboard's Latin charts. Based on the success of her albums, Shakira became a music superstar in the Spanish-language markets, known for her strong vocals and incredible hip-shaking belly dance moves. While hugely popular in much of the rest of the world, Shakira had not yet achieved a major record on the U.S. pop charts. She moved to Miami with her family to further her goal, and taught herself to write songs in English. She enlisted Emilio Estefan, of Gloria Estefan and the Miami Sound Machine fame, to act as her manager and producer. Her first English-language album, Laundry Service (2001), provided Shakira with the success in the United States that she longed for—the album was No. 3 on the charts, selling more than 200,000 copies in the first week. The songs "Whenever, Wherever" and "Underneath Your Clothes" were both big hits. Christina María Aguilera (born December 18, 1980) is an American recording artist and actress. Aguilera first appeared on national television in 1990 as a contestant on the Star Search program, and went on to star in Disney Channel's television series The Mickey Mouse Club from 1993 to 1994. Aguilera signed to RCA Records after recording "Reflection", the theme song for the animated film Mulan (1998). In 1999, Aguilera came to prominence following her debut album Christina Aguilera, which was a commercial success spawning three number one singles on the Billboard Hot 100—"Genie in a Bottle", "What a Girl Wants", and "Come On Over Baby (All I Want Is You)." Her sophomore and her debut Latin-pop album, Mi Reflejo (2000), a Christmas third studio album, My Kind of Christmas (2000), and several collaborations followed which garnered Aguilera worldwide success, though she was displeased with her lack of input in her music and image. After parting from her management, Aguilera took creative control over her fourth studio album, Stripped (2002). The album's second single, "Beautiful", was a commercial success and helped the album's commercial performance amidst controversy over Aguilera's image Aguilera followed up Stripped with the soul, jazz and blues inspired, Back to Basics (2006), released to positive critical acclaim.The album produced three singles "Ain't No Other Man", "Hurt" and "Candyman". Four years later Aguilera released her sixth studio album, Bionic (2010), which incorporated aspects of R&B, electropop, and synthpop and was met with mixed reviews and low sales Aguilera's seventh studio album is set to be released in 2012. He had planned to be a musician after he saw an older boy playing the electric guitar it inspired him to become one too. He was in the army for four and a half years. He spent six months in Kosovo as part of the peace keeping force. He recorded his memories of his time in the army in 'No Bravery, the closing track of his album, 'Back To Bedlam'. He attended Harrow, a large, well-known public school for boys. His music was never appreciated in school as it was too emotional for the teenage boys in his class. Despite these set backs, he continued to practice everyday. He plays the Guitar and the Piano. He also writes all of his own lyrics and music. Wrote the song "Good-bye My Lover", for an ex-girlfriend (who is still alive despite rumors that she passed on). He considered her to be the woman he wanted to marry before she left him. Wrote the song "You're Beautiful" after seeing another ex-girlfriend on the London Underground with her new boyfriend. He claimed on the BBC concert that aired on BBC1 on the 9th of December 2005 at 11:3s GMT that "our eyes met for a second but we re-lived an entire lifetime of memories". Won 2 prizes at the 2006 Brit Awards for "Best Pop Act" and "Best British Male" (15 February 2006). Was on duty for the funeral of the Queen Mother (aka Queen Elizabeth the Queen Mother) (9 April 2002). He is not related to actress Emily Blunt. Was best man at actress Tina Hobley's wedding to PR firm director Oli Wheeler. Once put his sister on eBay, as "damsel in distress, needs knight in shining armour". The man who won the auction later married her. 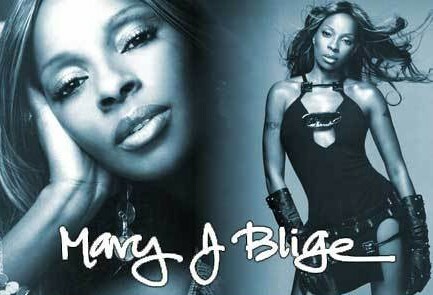 ary J. Blige was born on January 11, 1971 in Bronx, New York. When a recording of the 17-year-old Blige singing karaoke booth came to the attention of Uptown Records, they put her under contract immediately. She sang backup until the 1992 release of her first solo album, What's the 411?, a record that re-defined modern soul. Blige has had several #1 Billboard hits, and she won a Grammy in 2009. DO YOURSELF A FAVOR, CLICK THE LINK, HER STORY IS WORTH THE READ. Pablo Moreno de Alborán Ferrándiz[a] (born 31 May 1989) popularly known as Pablo Alborán, is a Spanish musician, singer, and songwriter. In 2011, he was nominated for three Latin Grammy Awards. Alborán has released three studio albums, two live albums, and various musical collaborations. His records are distributed by Warner Music which debuted in 2010 with their first official release, "Solamente Tú", the first single from his debut album Pablo Alboran (2011), released in February 2011. The album ranked No. 1 in its first week of sales, making Alborán the first solo artist to sign a complete debut album to rank to the top since 1998 in Spain. Keyshia Cole (born October 15, 1981) is an American singer–songwriter and actress. She gained nationwide acclaim when her 2005 debut album, The Way It Is went platinum. Her second album Just Like You went into production shortly after that and was released in September 2007. Her third studio album, A Different Me was released on December 16, 2008 and is certified Gold for selling 900,000+ units in the United States. She also achieved moderate success for her reality/documentary series Keyshia Cole: The Way It Is which aired on BET from 2006-2008 which gave a close look at Cole's career and personal life with her biological mother and sister. In December 2010, she released her fourth studio album, Calling All Hearts. In an era of an ever-changing music industry that's defined by diminishing expectation, where a "successful" career means having one, maybe two hit records; The Black Eyed Peas are a glorious exception. They have become one of the best selling, most popular and most innovative groups for over a decade. They have transformed themselves from a beloved backpack rap troop from the West Coast Underground into fully-fledged, massive global superstars whose music can be heard in any country around the world. They've done this the right way: creating albums that are more innovative than the last; which has translated into each new album being more popular than the last. 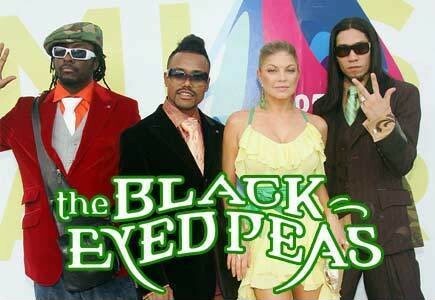 And in following this pattern, The Black Eyed Peas – will.i.am, Fergie, Taboo and apl.de.ap – are releasing their sixth full-length album, The Beginning. The Beginning follows on the heels of 2009's The E.N.D., BEP's most popular and most creative album to date – and the album that reaffirmed their singular status as global music icons. The E.N.D sold more than 11 million copies worldwide; it entered the Billboard Top 200 Chart at #1 outperforming their previous cd, Monkey Business– an unheard of feat in this day and age. It yielded 5 Top 10 singles (the first album to do so in 20 years), spent an entire year in the Billboard Top 200 Chart, and earned the group 3 new Grammy Awards, for a total of six Grammy Awards they've won. In all, they've sold 29 million records worldwide (plus over 30-million digital tracks). They've sold over 3-million tickets and headlined over 300 different tour dates in 29 different countries. Simply put, there doesn't exist another contemporary artist or group who can come close to their sustained success. Beyoncé Giselle Knowles-Carter (née Beyoncé Giselle Knowles; September 4, 1981), known mononymously as Beyoncé ( /bi?j?nse?/ bee-YON-say), is an American singer, songwriter, record producer and actress. Born and raised in Houston, Texas, she enrolled in various performing arts schools and was first exposed to singing and dancing competitions as a child. Knowles rose to fame in the late 1990s as the lead singer of the R&B girl group Destiny's Child, one of the world's best-selling girl groups of all time. Apart from her work in music, Knowles has also ventured into acting and designing clothes and perfumes. She made her acting debut in the musical film Carmen: A Hip Hopera (2001), prior to appearing in major films, including Austin Powers in Goldmember (2002), Dreamgirls (2006), which earned her two Golden Globe nominations, Cadillac Records (2008) and Obsessed (2009). In 2005, Knowles and her mother introduced their family's fashion line, House of Deréon, and in 2010, she released her first perfume, Heat. She has endorsed brands including, L'Oréal, Pepsi, Tommy Hilfiger, Nintendo and Vizio. In 2010, Knowles was ranked first on Forbes list of the "100 Most Powerful and Influential Musicians in the World", and second on its list of the "100 Most Powerful and Influential Celebrities in the World". In 2012, she was named "World's Most Beautiful Woman" by People magazine. Alicia Augello Cook (born January 25, 1981), better known by her stage name Alicia Keys, is an American R&B singer-songwriter, record producer, and actress. Keys was raised by a single mother in the Hell's Kitchen area of Manhattan in New York City. At age seven, Keys began playing the piano. She attended Professional Performing Arts School and graduated at 16 as valedictorian. Keys released her debut album with J Records, having had previous record deals first with Columbia and then Arista Records. Keys' debut album, Songs in A Minor, was a commercial success, selling over 12 million copies worldwide. She became the best-selling new artist and best-selling R&B artist of 2001. 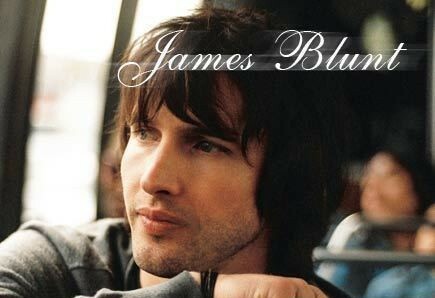 The album earned Keys five Grammy Awards in 2002, including Best New Artist and Song of the Year for "Fallin'". Her second studio album, The Diary of Alicia Keys, was released in 2003 and was also another success worldwide, selling eight million copies. The album garnered her an additional four Grammy Awards in 2005. Later that year, she released her first live album, Unplugged, which debuted at number one in the United States She became the first female to have an MTV Unplugged album to debut at number one and the highest since Nirvana in 1994. 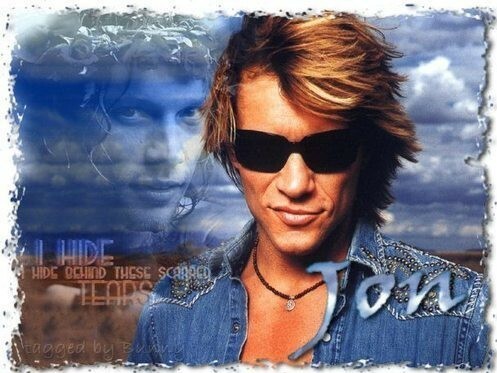 Bon Jovi is an American rock band from Sayreville, New Jersey. Formed in 1983, Bon Jovi consists of lead singer and namesake Jon Bon Jovi (John Francis Bongiovi, Jr.), guitarist Richie Sambora, keyboardist David Bryan, drummer Tico Torres, as well as current bassist Hugh McDonald. The band's lineup has remained mostly static during their history, the only exception being the departure of Alec John Such in 1994, who was unofficially replaced by Hugh McDonald. The band became known for writing several rock anthems and achieved widespread recognition with their third album, Slippery When Wet, released in 1986. After touring and recording non-stop during the late 1980s, the band went on hiatus after the New Jersey Tour in 1990, during which time Jon Bon Jovi and Richie Sambora both released successful solo albums. In 1992, the band returned with the album Keep the Faith. Their 2000 single "It's My Life", which followed a second hiatus, successfully introduced the band to a younger audience. Bon Jovi has been known to use different styles in their music, which has included country for their 2007 album Lost Highway. Their latest album, The Circle, was released on November 10, 2009 in the United States. Throughout their career, the band have released eleven studio albums, three compilation albums and one live album, and have sold 130 million records worldwide. They have performed more than 2,600 concerts in over 50 countries for more than 34 million fans, and were inducted into the UK Music Hall of Fame in 2006. The band was also honored with the Award of Merit at the American Music Awards in 2004. Jon Bon Jovi and Richie Sambora were inducted into Songwriters Hall of Fame in 2009. Linkin Park is an American rock band from Agoura Hills, California. Formed in 1996, the band rose to international fame with their debut album, Hybrid Theory, which was certified Diamond by the RIAA in 2005 and multi-platinum in several other countries. Its following studio album, Meteora, continued the band's success, topping the Billboard 200 album chart in 2003, and was followed by extensive touring and charity work around the world. 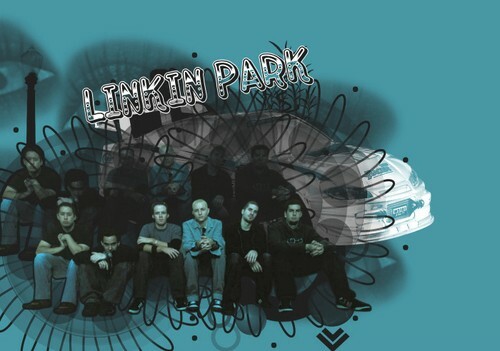 In 2003, MTV2 named Linkin Park the sixth greatest band of the music video era and the third best of the new millennium behind Oasis and Coldpl. Billboard ranked Linkin Park No. 19 on the Best Artists of the Decade chart. Having adapted the nu metal and rap metal genres to a radio-friendly yet densely layered style in Hybrid Theory and Meteora, the band explored other genres in their next studio album, Minutes to Midnight, which was released in 2007. The album topped the Billboard charts and had the third best debut week of any album that year The band has collaborated with several other artists, most notably with rapper Jay-Z in their mashup EP Collision Course, and many others included on Reanimation. The band's most recent work, the concept album A Thousand Suns, was released on September 8, 2010. Linkin Park has sold over 50 million albums worldwide and has won two Grammy Awards. ADELEAdele Laurie Blue Adkins (born 5 May 1988), better known simply as Adele, is an English singer-songwriter and musician. Adele was offered a recording contract from XL Recordings after a friend posted her demo on Myspace in 2006. The next year she received the Brit Awards "Critics' Choice" award and won the BBC Sound of 2008. Her debut album, 19, was released in 2008 to much commercial and critical success. It certified four times platinum in the UK, and double platinum in the US. Her career in the US was boosted by a Saturday Night Live appearance in late 2008. At the 2009 Grammy Awards, Adele received the awards for Best New Artist and Best Female Pop Vocal Performance. Adele released her second album, 21, in early 2011.The album was well received critically and surpassed the success of her debut, earning the singer six Grammy Awards in 2012 including Album of the Year, equalling the record for most Grammy Awards won by a female artist in one night.The album has also helped her receive numerous other awards, including two Brit Awards and three American Music Awards. The album has been certified 16 times platinum in the UK in the US the album has held the top position longer than any other album since 1985.The album has sold 25 million copies worldwide. The success of 21 earned Adele numerous mentions in the Guinness World Records. She is the first artist to sell more than 3 million copies of an album in a year in the UK. With her two albums and the first two singles from 21, "Rolling in the Deep" and "Someone Like You", Adele became the first living artist to achieve the feat of having two top-five hits in both the UK Official Singles Chart and the Official Albums Chart simultaneously since The Beatles in 1964. NOT FOR SALE-NO SALES ON THIS SITE.